HERVEY BAY: New mums normally are obsessed with routines – nurturing, resting, managing feeds and visitors… but in our neck of the woods our 30-tonne new mums think nothing about leaving swimming 900-odd kilometres, from the Great Barrier Reef to the sheltered waters of Fraser Island, with their 1.5-tonne newborns in tow. Nor do they bat their enormous eyes at the 60,000 visitors that flock to Hervey Bay, between August and November, each whale watching season to photograph their newborns. You could say whale watching is a bit of a family affair off Fraser Island! Each year the Southern Humpbacks leave the rich feeding grounds of Antarctica in May and make the annual 5,000 kilometre journey to the breeding grounds in the warm waters of the Whitsunday. They spend a short time here where some of the females give birth and others mate. Like human mums, the Humpbacks are warm blooded, air breathing and they give birth to live young. In sharp contrast to their human counterparts, Humpback mum’s milk has a fat content of 35% - compared to 2% for human milk. The 1.5m long humpback calves suckle at a rate of 400 to 500 litres a day, which allows them to put on a good fat layer in preparation for the long swim back to Antarctica. When that time comes, the lifecycle of these giants brings them into Hervey Bay on Queensland’s Fraser Coast. This region of Queensland coastline is the undisputed whale watching capital of Australia and one of only two places in the world where the Humpback Whales take time out of their migration south to socialise, rest, nurture and perform in the calm waters on Fraser Island – the other is Hawaii. All aboard the Quick Cat II for a great day's watching! Ranger Colin Anderson said that each season sees between 4000 and 5000 humpbacks will venture into Hervey Bay with numbers increasing every year – and with 60,000 whale watchers it can sometimes be a case of who is watching who. During the Whale Watch season Kingfisher Bay Resort, on World Heritage-listed Fraser Island, offers half-day whale watching cruises (aboard the Quick Cat II with the pioneers of whale watching in Hervey Bay, Jill and Brian Perry) from 1 August to 31 October and great deals for longer stays. 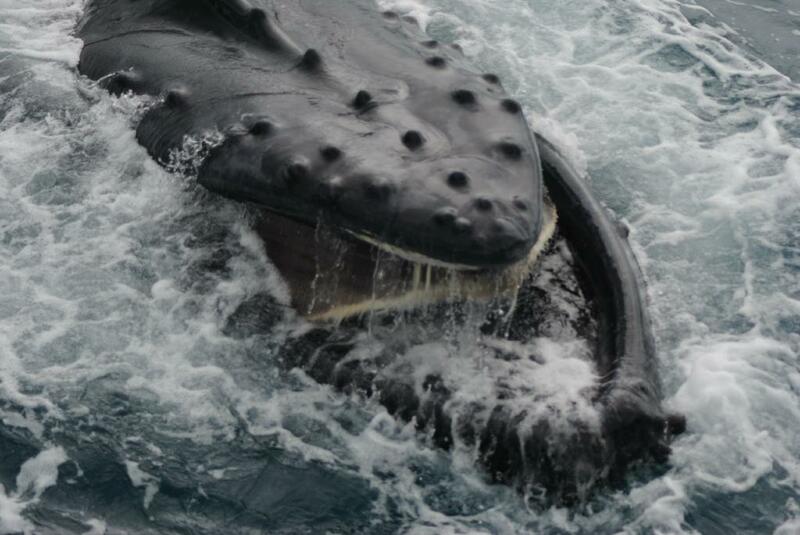 Follow us on Twitter @fraserwhales or on Facebook: Fraser Island Whale Watch. Kingfisher Bay Resort - on World Heritage Listed Fraser Island – includes 109 self-contained two and three-bedroomed villas; Kingfisher holiday houses for bigger groups; the 152-room Mercure Kingfisher Bay Resort – Fraser Island hotel; as well as touring and marine businesses.